My kids and I can’t get enough fresh seasonal melon. Can you blame us!? 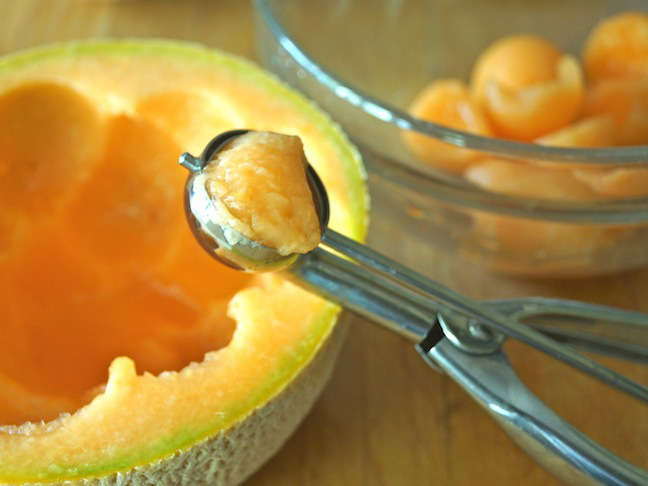 Summer melon is super sweet, refreshing, and delicious! 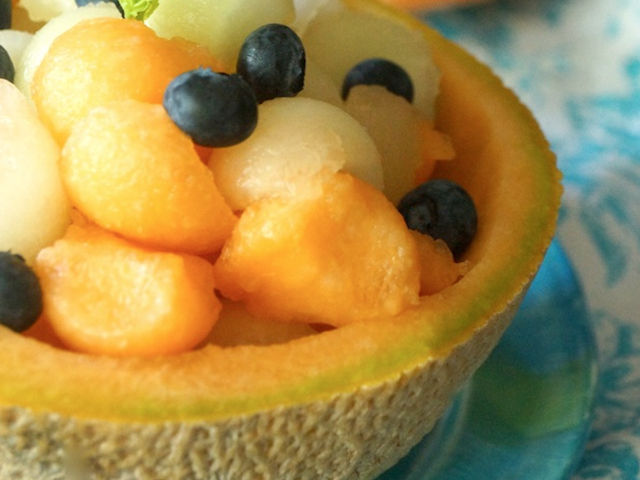 This recipe couldn’t be easier to prepare, and my kids love helping make it because they think scooping out the balls of melon is fun. 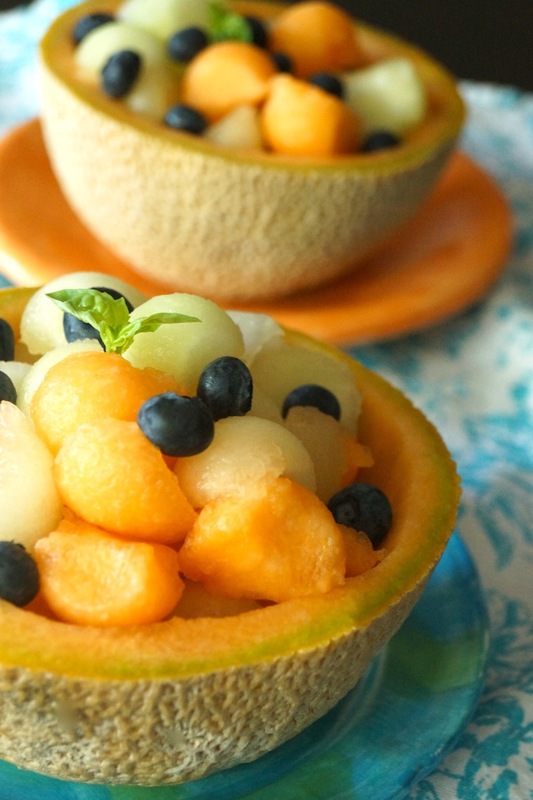 Served in the melon itself, the final presentation of this recipe is pretty and impressive. Your kids can wow their guests! A fruit salad that's better than a donut? You better believe it. 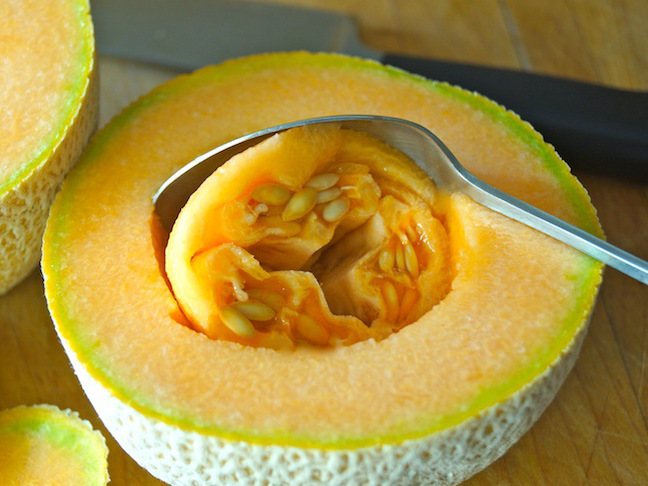 Step 1: Use a chef's knife to cut a small slice of the top and bottom of one of the two melons. Step 2: Slice the melon in half, and then set up each half of the base you made. Step 3: Use a large spoon to scoop out the seeds. Step 4: Use a melon baller or small (about 1-inch) cookie scoop to scoop melon balls. Being careful not to go too close to the bottom where you cut the base, work your way around the melon until you've gotten most of the "meat" out of it. Add the melon balls to a large mixing bowl as you go. 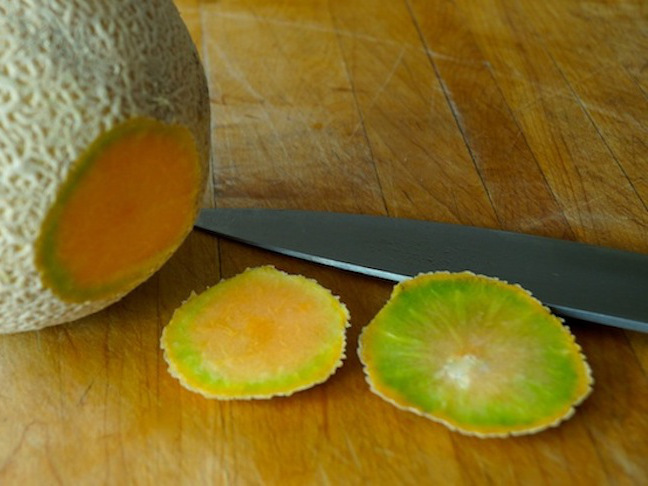 Step 5: Now cut the second melon in half, remove the seeds, and scoop balls from it, just as you did the first melon. Add the melon balls to the others and then gently toss them with the blueberries, orange, and lime juices. Step 6: Place the hollowed out melon halves onto plates or shallow bowls. Then pour half of the mixed melon balls into each one and garnish with a couple of basil leaves. Serve chilled.